Born in Kingston Jamaica, he has entertained audiences both in the USA and abroad. 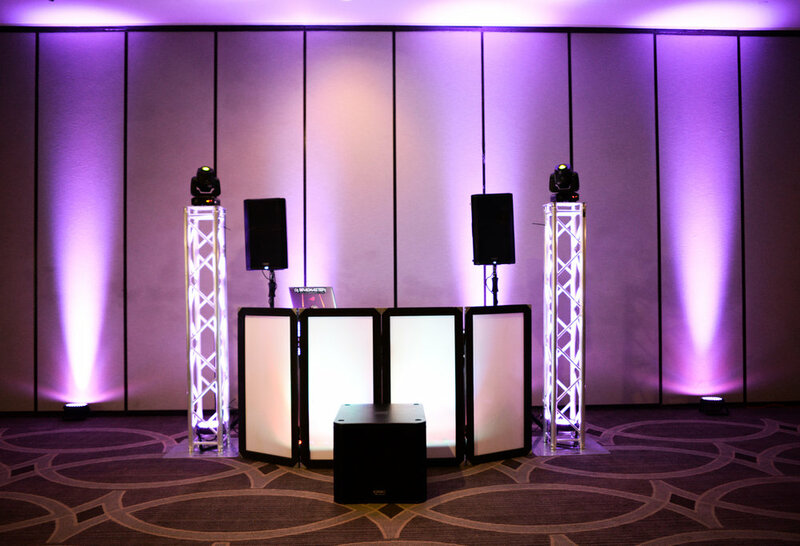 A rock solid 20 years of DJ experience providing Dj , Video Dj, MC and lighting services for a variety of events including weddings, anniversaries, theme parties, corporate events, holiday parties, school functions, birthdays & private parties, club venues and more. Recipient of 3 WeddingWire Couples Choice Awards, his primary focus is providing wedding DJ awesomeness to couples all over the world. A specialists in all genres including reggae, soca/calypso, hip-hop, rock, pop rock, house, techno, dance, country, salsa, bachata and all the caliente vibes.... his belief is that playing a versatile selection will keep everyone on the dance floor at all times and create enjoyable memories for years to come. Check out these mixes by DJ BradMaster J. Our Ultimate Wedding Experience will get everyone on the dance floor! Our dance floor lights, custom monogram, pin spots and up lighting will truly WOW you and your guests.